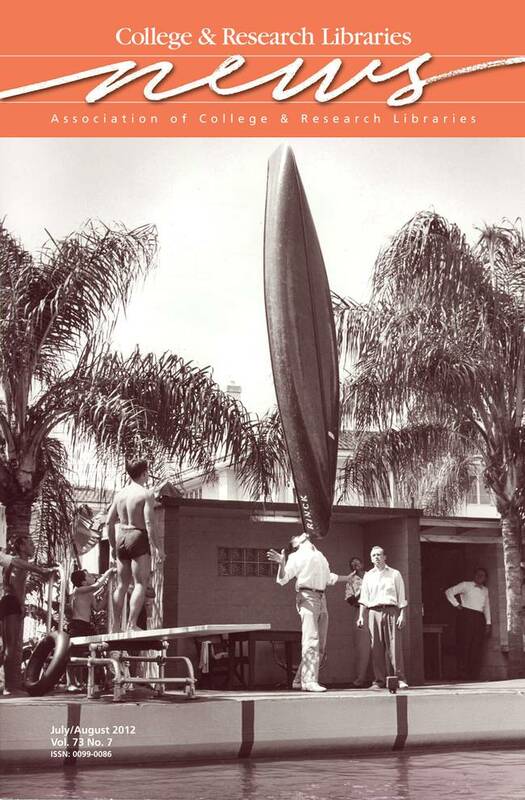 This month’s cover image features Rollins College student John Boyle (class of 1956) demonstrating his balancing talent at a water show held at the Orlando Aquaseum in 1953. Boyle also won first place in the college’s 1953–54 Talent Night competition after balancing a running lawnmower on his chin. The image comes from the Department of Archives and Special Collections at Rollins College in Winter Park, Florida. The documents and images held in the collections reflect the history of the college and the Central Florida community. For more information about the collections, please visit www.rollins.edu/library/find/findarchives.html. The Rollins Digital Archives, containing thousands of images, are available at http://archives.rollins.edu/cdm/. And to see Boyle balancing the lawnmower, visit http://contentdm.rollins.edu/cdm/singleitem/collection/students/id/1176/rec/1.